School visits can be great ways to integrate aspects of the curriculum and give all students something to talk about. This week, we took our Year 8s deep into the animal kingdom. 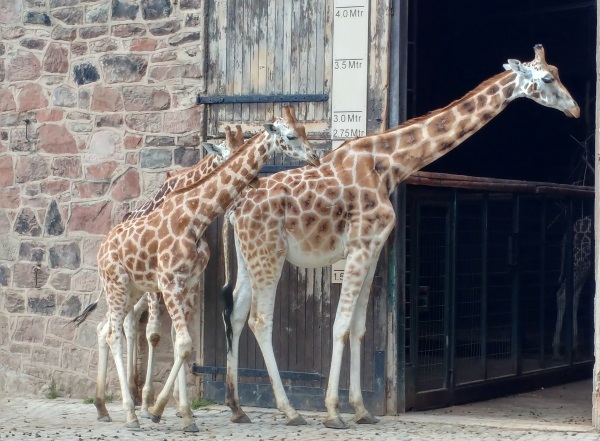 This week we took our Year 8 on their annual educational visit to Chester Zoo. In line with our usual philosophy, all 250 students went. No, this isn’t however a modern day reprisal of Our Day Out and I’m not Mr Briggs, although I do have fond memories of playing the character as a NQT in a school production two decades ago! After all, this is an educational visit. This year, the visit aligns closely with what our Year 8 students are currently learning in science: the conservation efforts that the zoo is undertaking. As you may be aware, Chester Zoo isn’t just a zoo: it’s also a global conservation charity, pioneering projects across the UK and in over 30 countries around the world. In addition to all the work that takes place in the zoo itself, it currently focuses on six regional programmes in Latin America, Africa, South Asia, South East Asia, Mascarenes & Madagascar and Europe. Despite never seeing its appeal in my early years, I have recently become very interested in conservation, and animals in the broader sense. A catalyst has been our work with Damian Riley, a local dog trainer and animal behaviouralist, whose dog training courses proved especially popular with our young people as a summer activity. We also have two tortoises in school, Jake and Doodles, that students look after. Some of our more challenging young people are extremely caring and kind to the two faculty pets, ensuring they are well-fed, watered and exercised as part of their school day. My new-found interest in conservation has inspired research and reading sessions with some of our students at lunchtime. One of the students I supported on the zoo visit found an excellent blog post by 10-year-old Henry Ficklin. Conservation is not just important for animals but to all living things. It can help prevent floods, fires, new deserts and drought. It is important to protect habitats and natural areas like rainforests. We arrived on five coaches, amidst a cool breeze and plenty of sunshine – perfect weather for a visit. Each group had a specifically-designed booklet that mapped their route through the zoo and suggested questions with which to learn more about the zoo from staff. Some of the students I supported had very interesting and empowering discussions, with the animals in the background! Not only did we fill in the booklets as we toured the site, but also had some great conversations about general conservation, the physical environment and landscape, as well as considering the ecology and behaviour of animals in the wild. Some of the information plaques at the zoo were great prompts for discussion! As we made our way around the various enclosures, students began to develop a deeper understanding of the wildlife, wildlife ecology and the environmental problems that are currently threatening certain species, from both theoretical and practical points of view. Students were fascinated by the ‘reality’ of threats to some of the animals in their natural habitats. 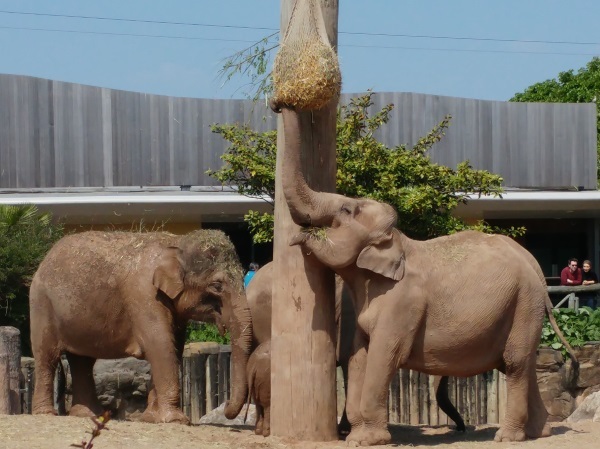 Zoos play a vital role in the protection of Earth’s biodiversity, and many species are now bred in captivity as part of national, regional and international breeding programmes. As a pioneer of conservation projects across the world, Chester is no exception. Why are visits like this important? As we know, ‘learning styles’ are now a debunked educational myth. But for young people with SEND, visits like this can bring to life the reality of conservation in a way no film, TV programme or book can. Some of our students with autism really enjoyed planning their routes through the zoo, ticking off each animal on their journeys. Some of our students with physical disabilities had never been to anywhere like the zoo before, and supporting their personal care during the day is an integral part of the school’s wider inclusive stance. It’s such a shame that educational visits, so powerful for giving a new depth of understanding, are at risk of being squeezed out of the curriculum in some schools due to stretched budgets and the need to re-think options. Some of our students have been truly inspired and have gained an impressive knowledge of conservation. Truly it was an empowering experience for all. The smiles and levels of excitement on the day itself, along with the discussions we’ve had and the work we plan to do in future, have made yesterday an unforgettable success. After ten similar trips over the last decade, this one has had a significant impact. Clearly there’s still a lot to say about the benefits of educational visits to support learning, as our students will confirm!